A top pastry chef visited Havant & South Downs College (HSDC) on 27 March to inspire students and judge their cake competition. Benoit Blin is Chef Patissier at Oxfordshire’s Belmond Le Manoir aux Quat’Saisons, where he has worked closely with Raymond Blanc OBE for over 20 years. 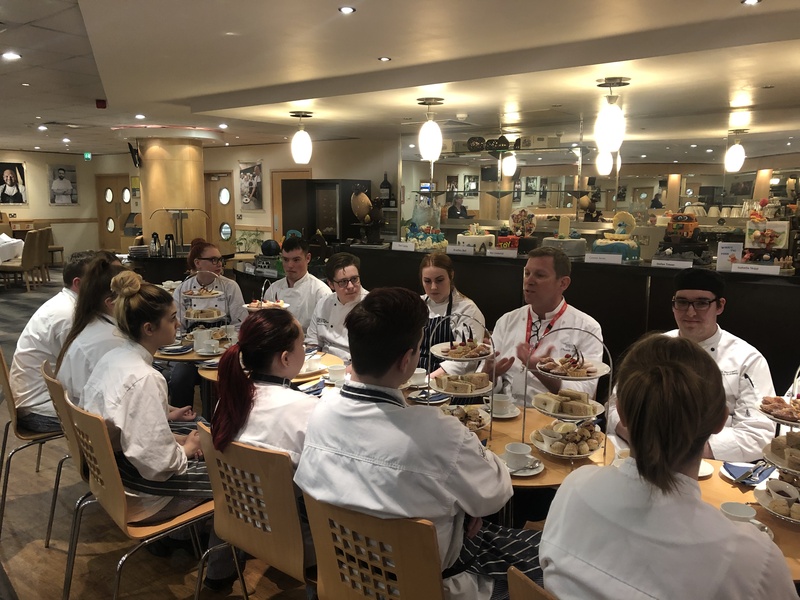 Benoit visited HSDC’s restaurant to talk to students about careers in the catering industry and to help judge the cakes they had baked. Speaking about the visit, Benoit Blin said: “Today I was invited to come in and help judge the cake competition and their sugar work, so we have been finding the top three. Also, I wanted to celebrate everybody’s work – we have 18 beautiful cakes that have been made. “If I were to give advice to the students, I would say make sure you enjoy yourself – before you choose this industry make sure you enjoy it. Enjoy yourself, work hard, and learn the skills that will set you apart from other people in this industry. Be passionate about what you do. Lecturer Gary Poole-Gleed said: “Benoit was great with the students and was very complimentary. The students thoroughly enjoyed the visit. After looking at some of the students’ work, Benoit crowned Bella Skipp as winner of the competition, awarding her a signed copy of his cookery book. Lauren Kates came in second place and third was Emma White.